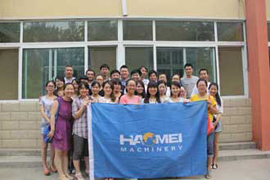 After making a careful plant,our company HAOMEI Machinery went to gerocomium to extend our regards to the the aged on july 20th,2013. 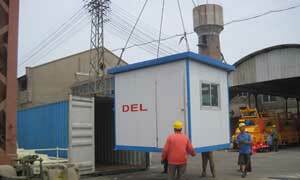 as ordered by our client in Zambia, we have prepared our HZS50 Concrete Batching Plant and delivered those equipments on time in June 19,2013 from Qingdao to KITWE. Two sets of JS1500 concrete mixers standing side by side equipped with skip hopper loading rails, saving a lot of cost and space with high output capacity.